So you’ve emptied your recycle bin and then realized that you’ve deleted a file that you still need. If you act fast enough, you may be able to recover the files before the computer overwrites them with something else. In the following article on how to recover deleted files from the recycle bin, I would like to show you some tools and the steps to take that can help you recover your files after you have emptied your recycle bin. Read on below for how to restore deleted files and for recycle bin recovery steps even when emptied (& Mac file recovery options), or click to jump to the most relevant section for you. If your problem is not that the files are gone from your recycle bin, but rather your recycle bin is missing or appears to have been deleted, then this is a different problem and there is another article to help you. Click Here for ‘Recycle bin recovery‘. Okay, now on with this article. You are not alone; recovering lost files is a big industry. If you’re asking ‘can I recover or restore my data files deleted from my recycle bin?‘ then this article is for you. I’m going to help you get your files back in this article and at no cost or low cost, if it is possible, so don’t worry. As a computer tech it’s my job to remind you of one thing you likely already know is true: I know you’ll groan but can I please just remind you to back up your computer every so often. If you do then recovering deleted files from an emptied recycle bin might not be a problem for you next time! A good option is to have a second separate drive just for this purpose. Please decide today to get an external drive (or memory storage of your choice) and start saving a backup of your files! A good alternative to the software methods below is to use ‘File History’, which works if you have a recent version of Windows and if you have set it up prior to losing data. See this article to recover deleted files using File History. Get this – Start a good back up process! Note: The links below are not intended as recommendations of one brand over another, just our efforts to help by giving you an easy link to follow through to buy. If you want to search and find your own alternatives you certainly can. There is no obligation to buy – these are just in case it helps you. Here are the Seagate Backup models (US link) I mentioned (and have bought for others) if you are not a tech. For computer techs (or for your clients with larger file storage demand), and to achieve large storage there are of course a lot of options, but one way to get a lot of extra hard drive storage is to buy a drive docking station and with it buy large internal hard drives to permanently dock inside – it’s a lot cheaper that way for a greater amount of memory. I hope this helps you implement a good back up strategy. If you are in the UK, these are the links are for you: Seagate Backup models, docking stations, and internal hard drives. Anyhow, on to recovering your files deleted from the recycle bin! If you have simply deleted files and want to recover them, then you can restore them from the recycle bin. Go to the recycle bin and see if your files are there. If so then click to select them and click the recover button. Note: There are a few things to be careful of so that you do not make matters worse. We have a clear article which shows you how to restore deleted files step by step (with screen copies to make it so easy to follow and avoid the hazards). See how to recover deleted files from the recycle bin in Windows 10. For most people, to recover recently deleted files, this is what you need. If you cannot find deleted files in the recycle bin using the above article, then they may have been deleted from the recycle bin. You’ll need to read on below to see how to recover files deleted from recycle bin. I am not affiliated with any of the software provided below, these are the preferred options used by the author! One of my favorite quick recovery tools to recover files deleted from the recycle bin is called Restoration. It’s a stand-alone Windows based file recovery program that allows you to restore deleted files even after they have been emptied from the recycle bin. Restoration requires no install and because of this, you can put it on your flash drive and take it with you wherever you go. Here is how to use it. Download Restoration (not an affiliate link) onto a drive other than the one that you want to recover files from. This is the first software program to try. There is an important reason not to write the downloaded drive to the same one you want to recover files from; if you write any more data to the same drive, the hidden but not-yet deleted files might be over-written and lose your data for ever! I know sometimes you may be wary to download free software, but in this case I have done it for countless clients. Perhaps you are worried about a recommendation for third party software (ie. nothing to do with you or me), but I reconfirm I have used it and also that I receive nothing from them for the recommendation. Run Restoration. If you are using Windows 7 or Windows 8 then you may have to right-click Restoration and choose “Run as Administrator”. Next, choose the drive you wish to scan. If you know the file name or at least part of it, type it into the “All or part of the file” box. If you don’t then just leave it blank. You can check the box “Include used clusters by other files” but if this applies to the file you are trying to recover then it will probably be corrupt. You can now click “Search Deleted Files”. When it is finished scanning you, can search through the file list to find the file that you would like to restore. Once you find it, highlight it and click “Restore by Copying”. You will now be asked where to save the file. If you try to save it to the same drive you are scanning you will be asked if you would like to select a different drive so you don’t overwrite the original data. Once you have finished restoring the file you should be able to open it. If Restoration can’t do the job then the next tool I recommend using is Recuva. Just like Resoration, Recuva is a free utility that let’s you undelete files after you have emptied your recycle bin. It has different scanning methods than Restoration including a “deep scan” feature to use when the standard scans aren’t working. Here is how to use it. Download Recuva (not affiliate link) onto a drive other than the one that you want to recover files from. Again it is important to avoid using the same drive to avoid over-writing the downloaded file over the top of hidden file data. Run Recuva. 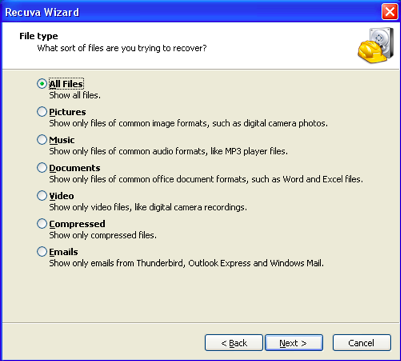 You will be presented with a wizard to ask you what type of file you want to recover. If you aren’t sure then just choose “All Files”. Next you will be asked where the files are located. If these files were deleted from the recycle bin then choose “In the Recycle Bin”. You are now ready to start your scan. This is also where you can choose to Enable Deep Scan if Recuva is having trouble finding the file. Once the scan has finished, you can now choose the file you wish to recover. 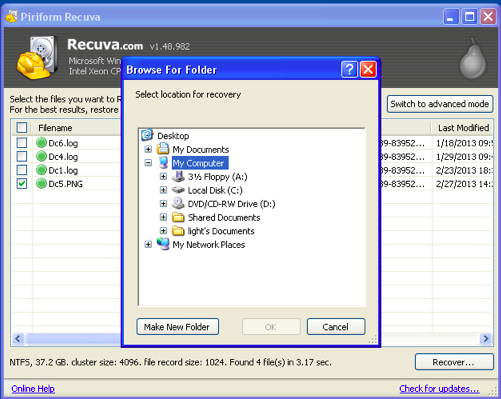 Select the file and click the “Recover” button. Choose a location that is not on the drive you are trying to recover from, otherwise, you may overwrite your file. Hopefully, after using these file recovery utilities, you now have your files back. When you delete a file, Windows flags that space as usable free space again. Therefore, there is always the possibility that Windows has already overwritten the deleted file with something else. If this is the case then Restoration or Recuva will not be able to recover your file or your recovered file will be corrupt. So the faster you act from the time you delete a file, the greater your chances are of recovering it will be. Now I hope you implement a better back up plan. We have a lot of information about data recovery and recovery of deleted files on TheTechMentor.com. For example (and in case it is relevant for you at some time) you can recover deleted Notes on iPhone 5, 6 or iPhone 7 (this article shows you how with methods for your iPhone). It’s pretty easy and you can do it for free thanks to Apple’s more recent iOS design. That seems like a great segue (segway) to deleted file recovery for Mac Computers. So, now on to the (semi-) free methods, for Mac computers. Note: the article below is for how to recover deleted files from recycle bin after empty for your Mac (i.e. how to recover files no longer in your Mac’s trash or recycle bin if you find it is empty). 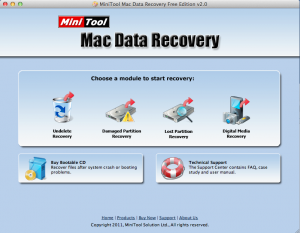 If you are using a Mac, then I recommend using the MiniTool Mac Data Recovery utility (not affiliate link). Why do I call it a semi-free method to restore deleted files on a Mac? It will restore files for free up to 1GB. If the deleted files are larger than that then you will need to pay for the full version. Use the link above to download it. For more in-depth information on file recovery software and methods for serious cases, check out How to Recover Data from a Crashed Hard Drive. Recovering deleted files is possible in a number of ways and which you chose may depend on your situation. You can recover deleted files from the recycle bin if you have simply deleted your files and need to get your files back. 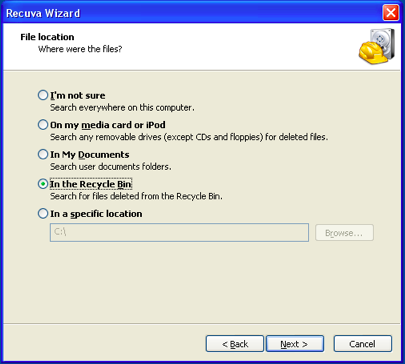 When you have emptied the recycle bin and you want to recover deleted files in Windows or Mac, it is possible. 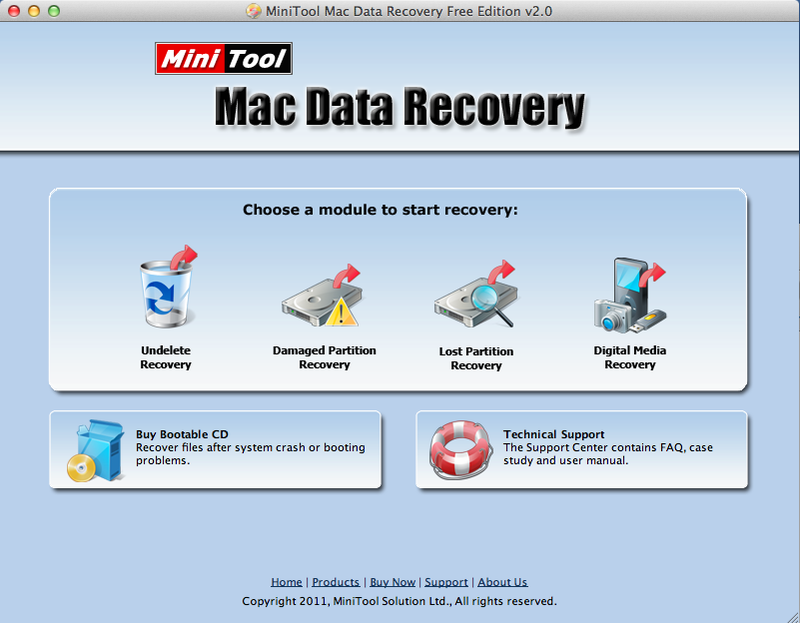 You will need to use some data recovery software and the ones I show how to use above are free! 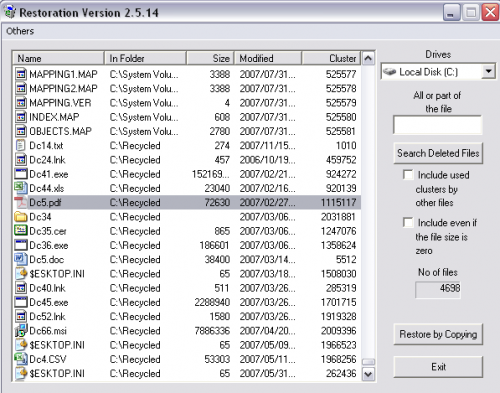 Please share your experience with Restoration, Recuva, or MiniTool software for recycle bin recovery proposed within this article on how to recover deleted files from the recycle bin, or any other file recovery programs that have helped you retrieve deleted files. Thanks for the info on the “Restoration” download. Is there anything similar for the Mac? RePicvid Free Data Recovery is also another best bet to recover deleted files from emptied recycle bin or trashcan ( on Windows or Mac computer/laptop). Just have a try! That’s because your files are corrupt, not because of an issue with the program. This search program doesn’t work in my computer ….. why? it keeps telling me that in order to use it I need to be logged in as an Administrator….I AM logged in as an Administrator on my computer…. I have the same problem, @doomed. I am logged in as Administrator on my own computer but to no avail can I get it to work. Could someone give us help with our problem? @Steve thanks! I had the same problem and your comment helped me! Failed to restore ANY of the files I selected – two days after deletion with minimal usage. I can see that this is a very useful tool. I recently deleted a lot of important files in a folder, and could find all the individual files with this program and the sub-folders but couldn’t find the main folder itself. And because i can’t select multiple files to be restored (by holding the SHIFT key or using any other method), I am forced to press restore multiple times for each sub-folder and each file that wasn’t in a sub-folder. 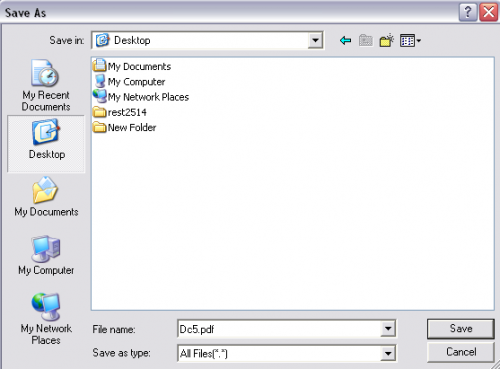 Simple functionality which allows a user to select multiple files/folders would make this program a lot better. after clicking on search for deleted files it says please log on account with administrator privilege and then run the program again plzzzzzz tell me what should i do………. Click right click on the program, and then click Run as Administrator and VUALA!! this is a very good software to restore deleted files bcoz i got my file which was deleted before 5 years. thank u lot……………………….. They are saying log in to administrator privilege and run the program again..why ? So i have installed this program but it is only searching the Local Disk C. I believe i actually had the file saved on the desktop and thought it was a shortcut so i deleted it on the desktop anyway to search the desktop since it wont find it on the Local Disk C? thanks. take note that once files are overwritten, they are not recoverable. its not restoring all the files! how can we retore windos xp to acertain day without restore point ?? Actually after deleting files from Recycle bin, data still resides on the same drive. You can recover them by means of Remo Recover utility. If you have windows vista o 7 professional there is a feature called previous versions which are copies of files and folders that Windows automatically saves as part of a restore point. Previous versions are also referred to as shadow copies. Just right click on the folder that the file used to be and select restore previous versions. After a smooth download and install, when I (Win 7, laptop) ran Restoration there was a pop-up saying i needed to connect to the internet. If I X’d it to close, it just kept coming back. Not sure why I should need to connect when my local drive is the problem. Maybe it’s harmless, but I don’t like to take chances when there is no logical reason. If I was attempting a recovery from remote (cloud, etc.) storage it would make sense, but not in this case. oh my god that was amazing thank you…! i have recovered my files but i cant use them couse htey have changed names how do i turn them back too normal ? This doesn’t work for me at all! Only the folders are gettin recycled but what about the files inside em? I tried to recycle movies and nothin worked. I can’t live with those empty folders. Can someone please give me something else to catch up? If you have emptied the Recycle Bin to free some disk space, it will be impossible to restore deleted files unless you got a Windows deleted files recovery program. Because when you delete a file and then empty your recycle bin (and even the Windows help menu will tell you that “Deleting an item from the Recycle Bin permanently removes it from your computer.”), the file contents will not be immediately destroyed. Windows just simply marks the hard drive space as being available for use by changing one character in the file table so that the file entry won’t be displayed in My Computer or a commandline DIR command, etc. That gives a last chance to repair and recover deleted files with a data recovery tool.You can download a free version of H-Data Recovery Master. Tried to install with “Run as Administrator” and got a “Product configuration is missing.” error. Tried on both USB drive and hard drive. Suggestions? Really it work. I used Recuva. Recuva is amazing thank you so much Casey1!!!! When I boot my laptop it show” check cable connection”, and restart over and over again. Please some help how do I recover my data. I use Recuva. Thanks for share this info! 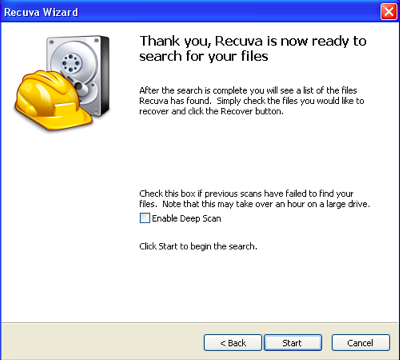 Recuva is the best free recovery software. 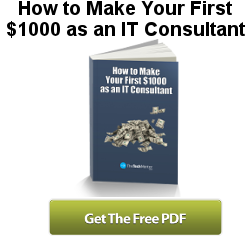 As a Data recovery company, We tried all free and paid software. We normally suggest Recuva, if anyone want to try a free tool. Wow this worked amazing and saved me to recover some very important documents! Thanks alot man your a genius!! !